I am looking for a pattern for making a red, white and black quilt. I am somewhat new at quilting – can you tell me the pattern that you used? The pattern comes with 2 sizes: 50×64 & 50×72. 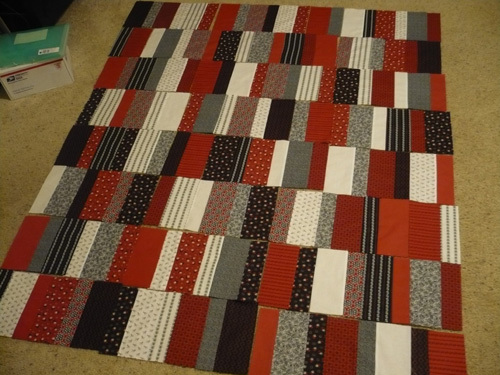 When you get your red, white and black quilt done, do share a picture…I love those colors!